After Instagram did it, Facebook also copied Snapchat to add the signature Stories feature to the social network, but actually getting people to use it is proving to be a challenge. And while it’s currently embroiled in arguably the worst privacy scandal ever, Facebook is also continuing to build upon Stories to make it a robust offering. There’s now a cool new AR feature which should help in this. Facebook Stories now lets users scribble or draw shapes on videos of the world around you. The new feature is called 3D drawing and it lets users create various shapes and write text on videos shot by the Facebook Camera before or during the video recording. It’s not unlike Google’s Just a Line AR app. “We wanted to give people an easy way to create with augmented reality and draw in the world around them”, John Barnett, a Facebook Camera Product Manager was quoted as saying by TechCrunch. The augmented reality feature has already begun showing up for some users and will be rolled out widely in the next few weeks. The 3D drawing feature has only one pastel effect for drawing on the videos, however, more brush options will be added in the future. As per TechCrunch, the technology behind the AR feature is capable of sensing corners and objects in a space, and can also detect walls and tables, allowing users to wrap their art on to the objects visible in the camera feed. Right now the wrapping functionality only works in optimal lighting conditions, when the object recognition algorithm can detect the presence with certainty. 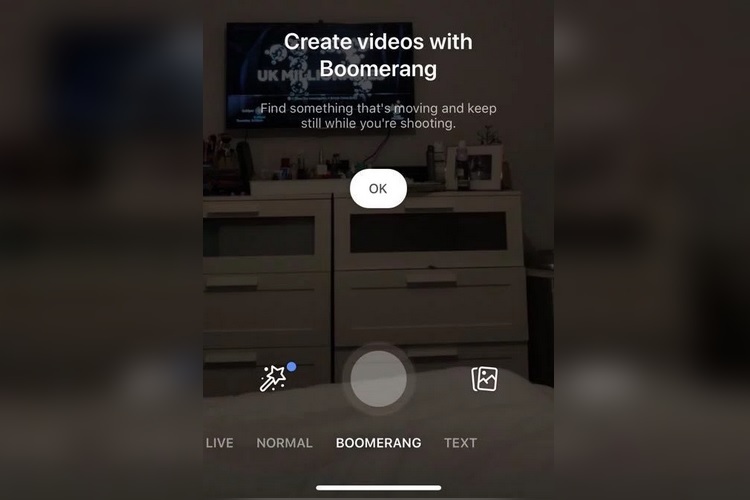 Moreover, Facebook has confirmed that the looping GIF creation feature in the Facebook Camera is now being replaced with Boomerang, an option that is already available on Instagram. The arrival of the AR-based 3D drawing feature is a clear sign of the major push being given to Stories, and falls in line with the changes Facebook is currently testing to boost the popularity of Stories and drive user engagement.